Forte Yoga > Practice > What Is Restorative Yoga? 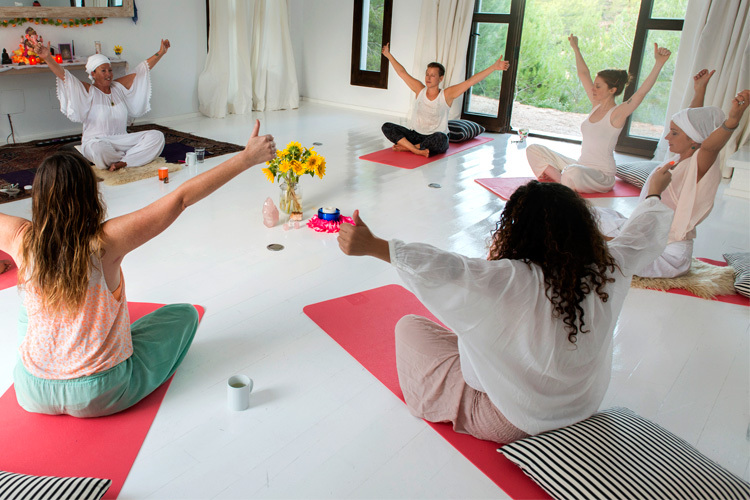 A lot of studios offer Restorative yoga along with their Vinyasa, Flow, Hatha and Yin classes. But what is Restorative yoga and what are the benefits of practicing it? B.K.S. Iyengar, one of the most esteemed yoga masters in modern history, is the man credited with creating a series of poses that hold deeply relaxing and healing properties that are now known as Restorative Yoga. Originally, he only prescribed these asanas (poses) to people struggling with injuries and illness. However, he soon came to recognize the true stress-relieving potential held in the Restorative practice, and prescribed the poses to all yoga practitioners, to be completed at least once a week in addition to their regular yoga regimen. Restorative yoga, although still a lesser-known option, remains a favorite among people worldwide because of its extremely de-stressing effects and its ability to open and stretch the body passively. Most Restorative practices include the use of multiple props, such as blocks, bolsters, blankets and straps. With the help of these props, the practitioner is able to stay in the pose longer. This is important because each Restorative yoga pose is held for a relatively long period of time, usually from five minutes to 30 minutes, depending on the pose and the teacher. Props also allow for a deeper opening in the body because the muscles are able to relax with the support provided by the props, and the body’s own weight works along with gravity to deepen the stretch. Popular Restorative yoga poses include Child’s Pose (Balasana), Legs-Up-The-Wall Pose (Viparita Karani), Reclining Hero Pose (Supta Virasana), Seated Twist Over a Bolster, Reclining Bound Angle Pose (Supta Baddha Konasana) and Corpse Pose (Savasana). Each pose may be performed using varying amounts of props. For example, someone who is very flexible may only want one blanket under their back for Reclining Hero Pose, while a less flexible individual may want a few blankets and a bolster. No matter how many props are added, the key is that each of these poses has wonderfully soothing properties and opens up a different part of the body. The activity of the mind is also an important factor of Restorative yoga. Because the body is able to come into a state of tranquility during each pose – and because each pose is held for a longer period of time than it would be in a more movement-based practice – the mind may sometimes begin to wander. Restorative yoga students should strive to bring the attention to the breath. For some, repeating a silent mantra along with the flow of the breath may be the perfect way to let the mind be calm. If you find your mind wandering during your Restorative practice, focus once again on your breathing, acknowledge any outside thoughts that you are experiencing, and peacefully let them go. A Restorative practice, if done correctly, should be deeply calming and tranquil – and is a perfect counterbalance to the more vigorous, Vinyasa-style classes. As suggested by B.K.S. Iyengar, all yogis who have a consistent yoga practice should incorporate Restorative yoga into their schedule at least once a week to reap the full benefits.